Spoiler: the grand finale involves harpoons. Romeo and Juliet is a work that is well known and well regarded throughout the world. It has been copied, performed, translated, transformed and ripped off in multiple media, genres and with varying degrees of success. Shakespeare himself took the story of two star-crossed lovers fated for unhappiness from an earlier Italian story. He had no idea, of course, that his version of the story would become one of the most famous literary works of all time, spawning ballets and more plays and movies and paintings and musical scores. And when you think that this play was written 417 years ago, its staying power and continued relevance is nothing short of remarkable. In addition to strange things like this year's Gnomeo and Juliet or the unspeakable abomination that I have included in photograph form on the right side of this post, most every American high schooler is going to be exposed to this play in freshman English. My ten year old can already quote large pieces of the balcony scene. Like it or not, Romeo and Juliet continues to be part of the Western zeitgeist, even 400 years after it was written. Of course, that won't keep our ridiculous reviewer friends on Amazon from panning it and giving it the lowest possible rating, putting this work of art on a lower shelf than, say, The Care Bears Movie or an 80s glam rock album. i just read this book. everybody like always talks about how great it is and everything. but i don't think so. like, it's been done before, right?? soooo cliched. omg. She would also like you to know that "the movie was better." Ha ha ha. By the way, a common theme of the negative reviews is that the play is "cliched." Because they've seen this story before. 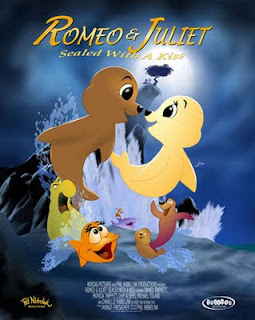 You know, when all these other works were COPYING ROMEO AND JULIET. Sorry, people, it's not cliche if it's the original. Plain and simple - Shakespeare sold out. *R&J* is simply sensationalist trash. It contains a good portion of Shakespeares worst verse and insipid characterizations. It's unchallenging, crude, and simply melodrama for the most part. It's the Shakespearean equivalent of "Party of Five" and the Spice Girls. And forget Shakespeare. There are other fine Elizabethan writers who have been forced to exist in the "Bard's" shadow. Had Marlowe lived, we wouldn't have even known about Shakespeare. And Donne finally been recognized for the genius that he is. Ah, a bitter Christopher Marlowe fan. "Marlowe's imaginary, unwritten works are better than Shakespeare's actual ones!" Touche, sir, touche. *How did this feud really begin? *Why can't this story end in happily ever after? *Why does Lady Capulet have to be so stuck up on everybody? *Why couldn't Shakespeare have written in a language we could all understand? *Why does everybody have to jump to conclusions? This was by far the worst science fiction novel I have ever watched. While the story of two lovers may seem romantic to some people, the use of spaceships and alien robots was very unneccesary. The worst part of this play had to be the end where both characters joined up with Marty McFly to save the universe. Thumbs down to you sir! Ah, vanity, thy name is Marty McFly. You can read more Ridiculous Reviews here. If you think you can handle it. Ha ha ha. I know. And these were just my favorites! I really like Party of Five. Shakespeare? Their first album is so much better than their first album. 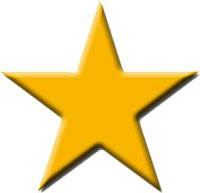 hahahahahahha the best ONE STAR ever!!!!! !